Please read through everything carefully along with filling out all the required questions. * Corner Financial personal loans proceeds cannot be used for college, university or vocational expenses including tuition, fees, and required equipment and supplies; for any business or commercial purpose; to purchase securities; or for gambling or illegal activities. If you have a different mailing address, please add that address below. 1. Your application is very important and we want to be able to contact you. With regard to this application only, I consent to receive calls and/or pre-recorded messages from an automated dialer to the cell and home numbers provided, including numbers that are converted to a cell phone. 2 Yes, please keep me informed via email and/or social media of new features, services or special offers from Corner Financial and its affiliates. 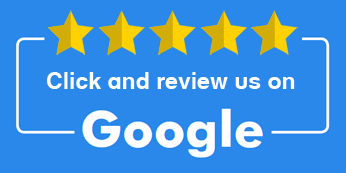 * Your Social Security Number/ Individual Tax Payer Identification Number is required so we can access your credit report and shorten the approval process. We care about your privacy and security, which is why we protect the information you supply online. * Monthly Net Income is your income each month after taxes and deductions, which may include your salary, social security, pension or other sources of income. Alimony, child support, or separate maintenance income need not be revealed if the applicant does not wish to have it considered as a basis for repaying this obligation. Please list six (6) references in the space below. BY SIGNING BELOW, I AUTHORIZE CORNER FINANCIAL CORPORATION TO OBTAIN A CONSUMER REPORT ON MY BEHALF IN PROCESSING THIS LOAN APPLICATION. Are you using a co-signer? *If yes, please fill out the co-signer form below. Co-signer, Please list six (6) references in the space below. * Alimony, child support or any other income need not be revealed if you do not wish to have it considered as a basis for repaying this obligation.You may include income from any source as you see fit. 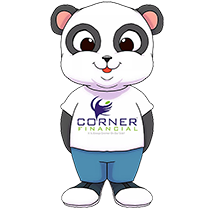 * Please note, if you provide Corner Financial with an email address, it will be used to contact you about your account or send you information concerning other products and services. * You understand and agree that each and any phone number that you provide on this application whether landline or cell phone, you consent that Corner Financial, its affiliates, our agents may contact at any number you have provided on this application, and during your business relationship with Corner Financial through phone calls, texting, emails from time to time, for any reasons about your loan account with Corner Financial and its affiliates, including but not limited to collections and payment purposes. Furthermore, you understand and agree that automated dialing equipment or prerecorded voice messages may be used for any of these purposes. If you have a second applicant, please fill out the form below. Contact Name / Account No. Any State/Federal Tax Liens Against Business or Owner? * These products can be either business loans or merchant cash advances. Business loans may be provided by third parties and are subject to lender approval. Not all products offered by Corner financial and affiliates are consumer loans. Funding subject to processing time by merchant’s bank.